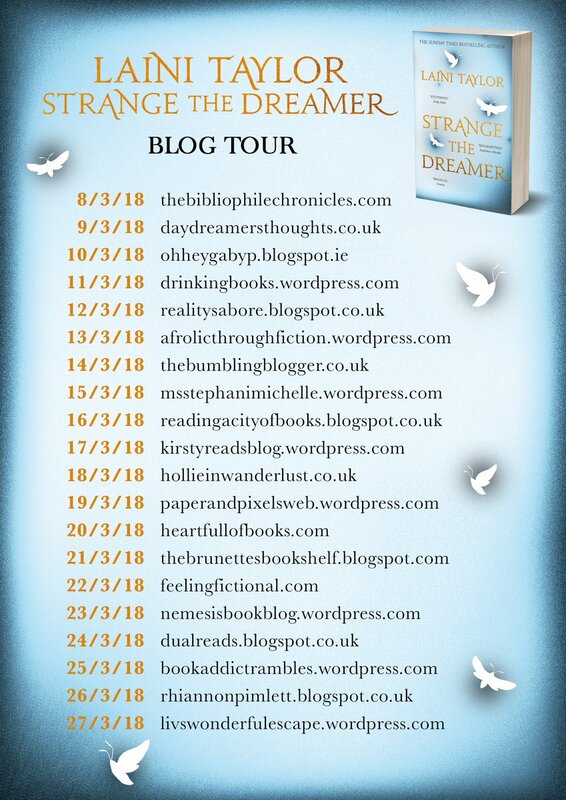 Today is my stop on the Strange the Dreamer paperback release blog tour and I am delighted to be posting my review for this magical book! As this was my first Laini Taylor book, and after hearing nothing but praise for her, I went into this book with hella high expectations. And oh boy were they met and THEN SOME. Laini’s writing style is so beautiful and had me staying awake until the small hours to keep on reading and reading until there was nothing left! Strange the Dreamer, follows Lazlo, an orphan and librarian who has been obsessed with the lost city of Weep since he was very small, which was honestly so relatable!! Haven’t we all had that strange obsession that we have always had? 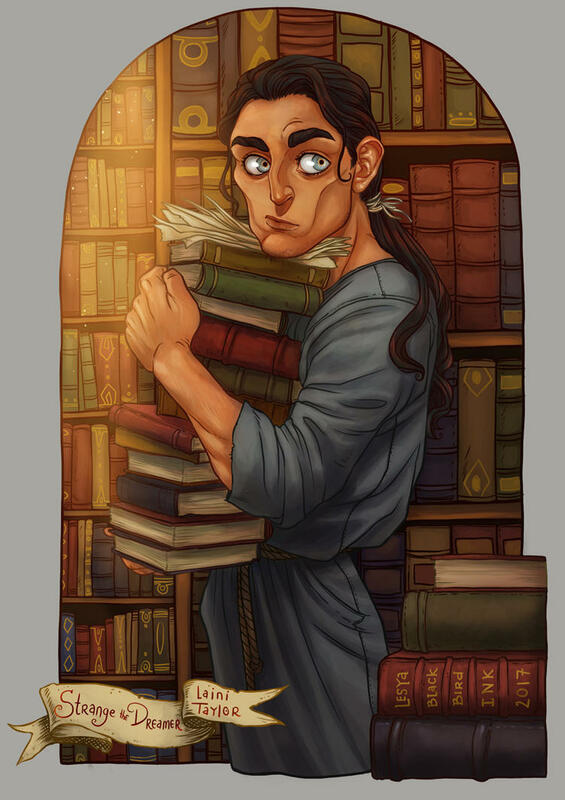 (Mine’s Titanic) and omg having a character such as Lazlo was amazing and I fell in love instantly. Or perhaps I fell in love with the richness that is Laini’s writing style? I was in awe of her!! 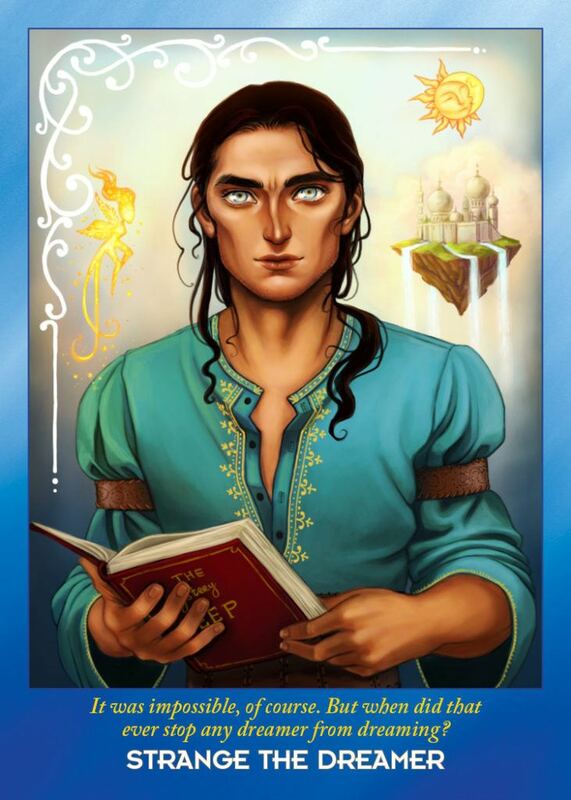 In short, Strange the Dreamer has me raiding my savings to go out and pick up more of Laini’s work to see if it can compare to the brilliance that is, Strange the Dreamer. And feel free to pre-order Muse of Nightmares which comes out October 2nd! Loved this book 😍 It was my first Laini Taylor book too and I was addicted!! !